Stackpath LLC is a SaaS company based in Dallas, Texas, United States. Stackpath was founded in 2015 by Lance Crosby Chairman & CEO. Lance was the CEO of SoftLayer Technologies, which was acquired by IBM in 2013 and is now the foundation of IBM’s Cloud Computing division. Stackpath is a holistic security platform designed to meet the needs of businesses today. StackPath’s investors ABRY Partners have invested a $4.3 billion private equity fund. This week we were delighted to interview Lance to find out more about Stackpath, its origins and their vision for the future. As it happens the journey to creating Stackpath began back in 1995 when Lance met “met two individuals from EDS who wanted to start an ISP” and Lance agreed to join them. The journey to creating multiple successful organizations in the technology industry began in Dallas when Lance was at law school. Before anyone was aware of the internet, Lance was creating networks for his university campus. He told us “When I was a student at Texas A&M, I helped network all 17 campuses together as a TA. We started Dallas.net, Oklahoma.net, and Austin.net back in 95′ when no one knew what the internet was”, back when Netscape was new to the marketplace. Against everyone’s wishes Lance decided to follow his passion for technology, he told us “Towards the end of law school, everyone, including my parents, was asking me what was I doing. They told me to focus on law school and I told them that I love this internet thing and this is what I’m going to go do”. That was certainly a bold move, but one that has paid off for Lance. Lance has an impressive array of formal qualifications, a Law Degree, Bachelor’s degrees in Finance and Management, an M.S. in Finance and M.B.A. in Management. These come in useful as a CEO of million dollar tech companies for sure. Impressively, everything that Lance has learned about technology is self-taught. Lance informed us that he has “No official technology classes or degrees”. StackPath is a forward-thinking company that is working to reverse the trend of security being an afterthought when it comes to technology. Lance told us “The cloud is this amazing tool, an essential component in the lives of people and businesses every day”. Lance says that the cloud has “been designed to meet workload needs first and security needs later.” This means that the data is not secure; Lance continued “it’s not safe, and we learn about another major data breach practically every day. And at this rate and trajectory, it’s moving toward a point where the risk will outweigh the utility”. Stackpath is re-thinking the cloud “from the physical data centers and networks all the way to best-practice solutions architectures and methodologies”, paving a path to a more secure internet. Lance stated, “We think it’s time to be more proactive about security”. StackPath is “Redefining web services. Built on security”. StackPath is designed to be used by anyone using the internet, “from a lone developer working from home somewhere to Fortune 100 companies”, they are all potential StackPath customers. StackPath has been seeing growth in the media and gaming niche due to their concern about latency and the security of downloads. StackPath helps with both of these requirements. StackPath is dedicated to providing a unique offering at cloud scale whereby security is “built-in” and not just a “bolt-on” afterthought. Lance explained that up until now we have seen developers “create a stack of cloud services for whatever it is you’re building in the cloud and then bolt on a firewall or something. That’s not enough. It creates some daylight between the infrastructure and the security measure, and you often end up having to compromise security or performance for different elements of your environment because they are behind stack-wide security measures”. Lance explained that StackPath is stepping away from the concept of “cybersecurity” solutions that are placed on top of on top of existing infrastructure. He says “It creates some daylight between the infrastructure and the security measure, and you often end up having to compromise security or performance for different elements of your environment because they are behind stack-wide security measures”. By re-thinking security and having it penetrate every area of the cloud from inception StackPath enables “each service has the specific type and level of security that it requires, can be continuously and individually updated and controlled at the most granular level”. At every level, StackPath has ensured they put their customer first. Whether it is by improving speed and security, or by the fact that they “offer one flat global rate vs competitors who’s rate vary depending on global regions”. To do this, Lance explained to us that “From an operational side, buying the newest most efficient network gear, and having long-term established relationships with vendors going back to SoftLayer and before, keeps our costs down allowing us to pass those savings on to the customer”. Lance explained to us how they utilize what they call a “Machine Learning Engine” whereby their “platform will collate and leverage information that each service gathers through a machine learning engine that becomes smarter and more threat-aware with each recorded event. It automatically stops possible threats before they happen without us or customers having to manually do anything”. We were keen to find out why Lance felt customers used their product and were delighted to find that empowering developers is at the core of their business model. Lance told us “Our goal is to be the first platform developers think of when they want to be sure that their cloud solution is secure, but don’t want to spend a large part of their limited time managing security, or giving up control to someone else who will”. StackPath is continually developing their range of services with unique methodologies that will allow developers to seamlessly implement security throughout the dev process. They achieve all this by making Stackpath “easy to sign on to, easy to use, and helps keep information safe”. Lance added “We are very reasonably priced, and customers only pay for what they use. For example, one of our largest customers was using Akamai for their CDN and had to reserve 1,500 servers to have them at the ready in case they get attacked. Since switching to us, they pay for 400 servers, the amount they need, and if and when they are attacked we ramp them up and they pay for what they need. Our customers are only charged for what they use”. When we asked about plans for the future, Lance told us “I can’t say what the future will hold, but for now I’m purely focused on StackPath and driving the evolution of cloud, specifically at its edge”. He informed us “. I set ambitious goals for the company when we launched, but our growth over the last year and a half has surpassed even my expectations”. 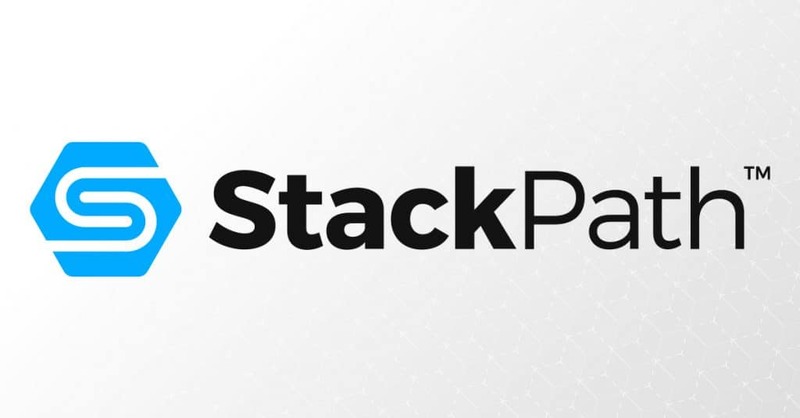 For now, Lance is firmly focused on the evolution of StackPath and we cannot wait to see it develop in the coming months. It was a real pleasure to have the opportunity to interview Lance from StackPath and learn about the all too often overlooked security aspect of the web. It is both exciting and an honor to have had the chance to speak with him. Thanks, Lance!